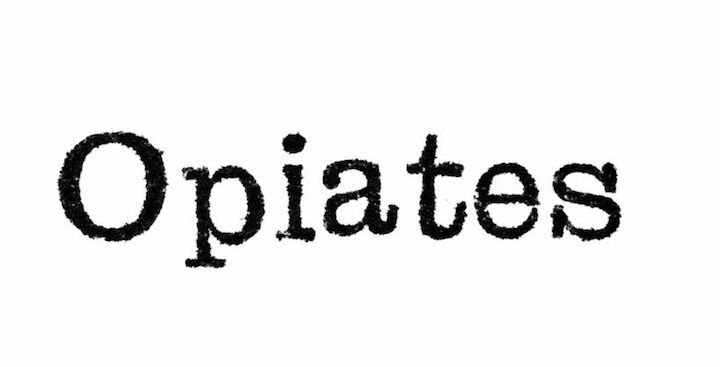 This is an alphabetical list of opiate terms and definitions. We compiled them here in one place to help people better understand what opiates are, how and why they are used, and the dangers associated with using them. Activity: The response a chemical substance produces after binding to a receptor. Addiction: To use a chemical substance compulsively and uncontrollably. Addiction Liability: The tendency of a chemical substance to produce addiction. There are two prototypical classes of drugs that commonly result in addiction; psychomotor stimulants and opiates. Affinity: The strength with which a chemical substance binds to a receptor. Agonist: A chemical substance with both Affinity (binds to) and Activity to a specific receptor. Alkaloid: An organic compound that comes from a plant, that produces physiological effects on humans. Antagonist: A chemical substance that has Affinity (binds to) but with no Activity on a specific receptor. For instance, Naloxone an opioid antagonist, binds to mu-opioid receptors but produces no neuronal response. Bioavailability: The ability of a drug’s active ingredient to enter the body’s circulatory system and thus reach the site of action. Ex. Buprenorphine in SUBOXONE has poor bioavailability through the stomach. Ingested Buprenorphine is destroyed by stomach enzymes and consequently will not reach the circulatory system in sufficient quantity to be effective. SUBOXONE must be given sublingually for its active ingredient “buprenorphine” to enter the circulatory system in sufficient quantity to activate a sufficient number of mu opioid receptors (MOR) in the brain. Butrans : A brand name buprenorphine based transdermal patch. Ceiling effect: Buprenorphine has limited Activity at the mu opioid receptor. In addition there are a finite number of mu receptors. These two factors limit buprenorphine’s narcotic effects. Even if the dose of buprenorphine rises to maximum levels there is generally no difference in euphoria, analgesia, or respiratory depression. Charles Romley Alder Wright (1844 – 25 July 1894) An English chemistry aresearcher at St. Mary’s Hospital Medical School in Paddington, England. C. R. Alder Wright is the person who invented heroin. Codeine: (C18H21NO3) Also known as 3-methylmorphine, is a narcotic alkaloid found within the papaver somniferum poppy plant. As such it is an opiate and is used to treat pain, coughing (antitussive) and diarrhea. Diacetylmorphine: The scientific name for heroin. Diamorphine: The proper name for heroin in Britain. Dissociation: The rate or likelihood that a drug dissociates i.e. uncouples from a receptor. Drug abuse: To use a chemical substance wrongly or improperly. Drug overdose: Consumption of excessive and dangerous amounts of a drug. Fentanyl: A synthetic full agonist opioid that is 40-50 times stronger than pharmaceutical grade diacetylmorphine a.k.a heroin. Full agonist: a chemical substance with high Affinity and high Activity on a specific receptor. As in full agonist “opioid” having high Affinity and high Activity on mu-opioid receptors (MOR). Heroin: Heroin, scientifically known as diacetylmorphine, is a highly addictive Schedule I drug. Heroin is a heavily abused and extremely potent semi-synthetic opioid processed from morphine. Heroin abuse: Illegal or improper use of heroin. Heroin addiction: Tenacious seeking or using of heroin despite adverse consequences. Heroin dependence: Susceptible to withdrawal upon cessation of heroin. Hydromorphone : Is a semi-synthetic opioid drug derived from morphine. Hyperalgesia : A paradoxical phenomenon whereby long-term opioid use increases pain sensitivity. IV: Intravenous i.e. into a vein. Interneuron: Two or more neurons acting in concert. Isoforms: A structural variant of a receptor. Mixed agonist-antagonist: Two drugs, one agonist and one antagonist bound together in a single medication to treat a specific medical condition, e.g. SUBOXONE is a dual drug, Buprenorphine, a partial-agonist opioid, mixed with Naloxone, a full opioid antagonist. Morphine (MOR): A naturally-occurring narcotic alkaloid of the poppy plant – papaver somniferum poppy plant. As such it is an opiate and is used to treat pain, coughing (antitussive) and diarrhea. Mu opioid receptors (MOR): A receptor on the surface membrane of nerve cells that mediates opioid analgesia, tolerance, and addiction. When an opioid binds to and activates a mu opioid receptor, a series of other proteins associated with the mu receptor-signaling pathway become activated as well. Naloxone : A semi-synthetic potent opioid antagonist made from Thebaine. Neuronal : Relating to a neuron or interneuron. 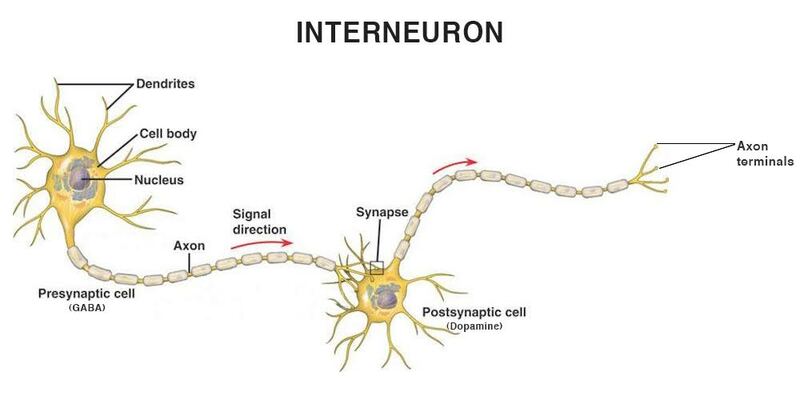 Neurotransmitter: An endogenous chemical substance that releases from pre-synaptic nerve fibers (axon) from neuron A, across the synaptic cleft and activates the post-synaptic nerve fibers (dendrites) of neuron B.
Opiate: Morphine or Codeine: Any chemical substance(s) with narcotic properties produced by the Papaver Somniferum poppy plant including Opium. Opioid: any chemical substance, either natural or synthetic, with morphine-like properties. Opioid Receptors: There are three classical opioid receptors: μ-mu, κ-kappa, δ-delta and one non-classical opioid receptor ORL-nociception (ORL: Opioid-Receptor-Like). Opioid receptors are members of a larger family of receptor proteins, namely the rhodopsin-like G-proteins. Opium: Opium is the dried latex obtained from the opium poppy (papaver somniferum). Papaver Somniferum: The opium poppy is the source of many drugs, including morphine and codeine. Partial agonist opioid: A chemical substance with Affinity with but only partial Activity on a specific opioid receptor. Percocet: An opioid painkiller that combines acetaminophen and oxycodone. Oxycodone is an opioid painkiller. Acetaminophen is a non-opioid pain reliever. Prodrug: A chemical substance that must change before it affects the body. A good example of a prodrug is heroin, which changes into 6-monoacetylmorphine within the bloodstream, before it enters the central nervous system (CNS) and begins attaching to opioid receptors. Psychoactive: A chemical substance that alters brain function and consciousness. Respiratory Depression: Respiratory (RES-pih-rah-tor-e) depression is a condition whereby your lungs do not release enough oxygen into your blood. Respiratory depression is a medical condition that can quickly get worse, which may lead to respiratory failure. Respiratory failure: A physical condition whereby your lungs do not release any oxygen into your blood. Semi-synthetic Opioid: a chemical substance with morphine-like properties synthesized from an alkaloid from the Papaver Somniferum poppy plant. Examples: Heroin made from Morphine, Buprenorphine made from Thebaine. Example: Naloxone made from Thebaine is a semi-synthetic opioid antagonist. SUBOXONE: A dual-drug (Buprenorphine and Naloxone) tablet or film partial-agonist opioid medication prescribed by qualified physicians to treat patients with heroin dependence. SUBUTEX: A brand name version of Buprenorphine tablets or film prescribed by qualified physicians to treat patients suffering with heroin dependence. Synthetic Opioid: A chemical substance that has both Affinity and Activity with mu opioid receptors, that is synthesized completely artificially. Thebaine: A poisonous alkaloid of Papaver somniferum that is also found in raw opium. Vivitrol: Is an injectable form of naltrexone, which is a medication used to block opioid receptors from opiates and synthetic analogs. Zohydro ER: A long-acting opioid pain medication. It is indicated for the management of pain severe enough to require daily, around-the-clock, long-term opioid treatment. Zubsolv : A brand name buprenorphine/naloxone tablet made by Orexo US, Inc.